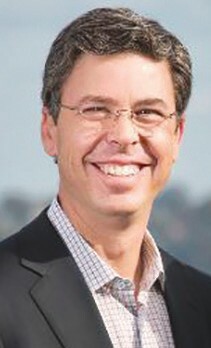 The Savannah Downtown Business Association (SDBA) is pleased to welcome Mayor Andy Berke, Mayor of Chattanooga, to speak at the January Luncheon. The luncheon will take place at The Charles H. Morris Center, 10 East Broad St., on Wednesday, January 8. Networking will begin at 11:30 am followed by lunch at noon. The price is $25 for members and $35 for non-members. Reservations required by Monday, January 6 for discounted rates. All reservations must be made via the website at www.SavannahDBA.com. Berke was elected to serve as Mayor of Chattanooga on March 5, 2013, winning over 70% of the electoral vote. He has focused his public service on making streets safer, providing every child with the opportunity for success, promoting economic and community development, and ensuring that government budgets on outcomes and effectiveness. He is married to Monique Prado Berke and they have two daughters.